After graduating in 2009, he set his sights on the dairy industry, seeing a “huge demand” for imported dairy in China, especially since 2008, when a deadly toxin called melamine was found in Chinese milk and infant formula. Zhu registered his imports company, Henger, in 2011, and began importing dairy products from Australian companies such as A2 Milk and Gippsland’s Longwarry Food Park. The company also sells its products online, through e-commerce sites such as Amazon China and Alibaba, and through offline channels, like Wal-Mart China. Zhu, who was born near Shanghai, moved to Australia in 2003 to attend high school in Brisbane, where he stayed with a local family. Initially, he struggled with the English language and other cultural differences. He still remembers feeling shocked by his first lunch in Australia, when his homestay family gave him a humble sandwich, a far cry from China’s more elaborate midday meals. 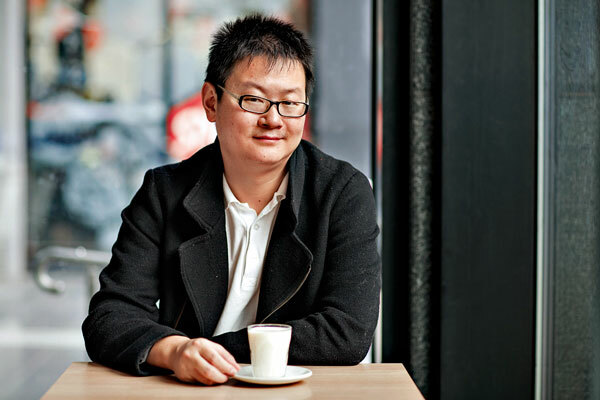 Zhu, who met his wife at the University, grew to love Melbourne, its trams and its diverse food culture. Though he knew he didn’t want to be an engineer, he says he learnt critical, logical thinking and problem solving skills that have proved useful in his business. He now mentors young University of Melbourne students studying business or finance who want to enter the Chinese market. Zhu is only 30, but he has big plans for the future of his company.